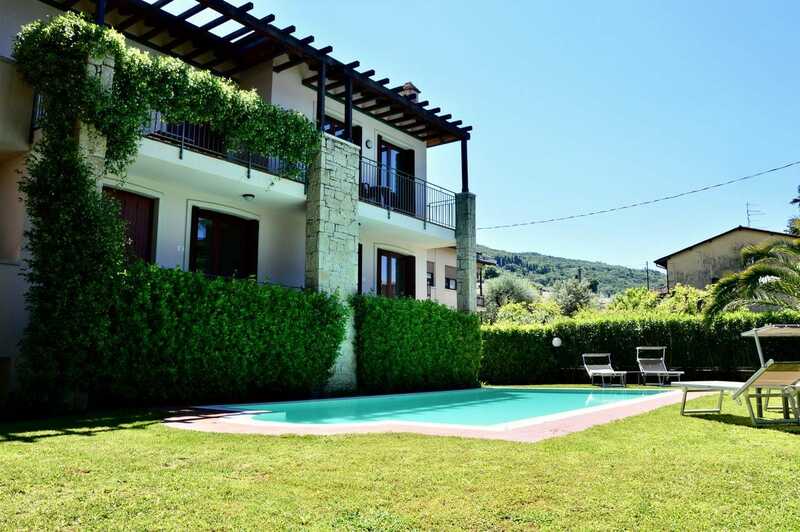 Offering a garden and outdoor pool, Apartments Meridiana is located in Torri del Benaco, 30 km from Verona. Sirmione es 14 km de la propiedad. Hay aparcamiento privado gratuito disponible en el sitio. All units include free WiFi, a dining area and a seating area with a flat-screen TV. There is also a kitchen, equipped with a microwave. Bed linen is available. Riva del Garda is 33 km from Apartments Meridiana, while Garda is 3.9 km. El aeropuerto más cercano es el aeropuerto de Verona, 28 km from Apartments Meridiana.